Tell us what you like to read and our Readers' Advisory team will send you personalized reading suggestions! * indicates a required field. What are some books and authors you like? Is there anything else we should know that might help us make some suggestions for you? 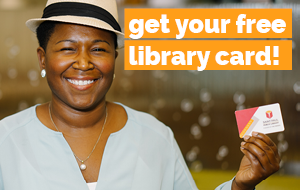 To best serve our customers, we offer this service to library cardholders only.